Demerara Distillers Limited (DDL) is a local public company with over 9,200 shareholders. 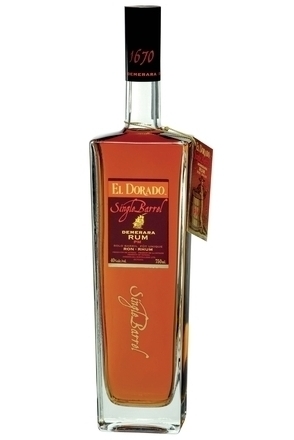 The company's Diamond distillery produces Demerara Rums, which are today bottled under the El Dorado Brand. 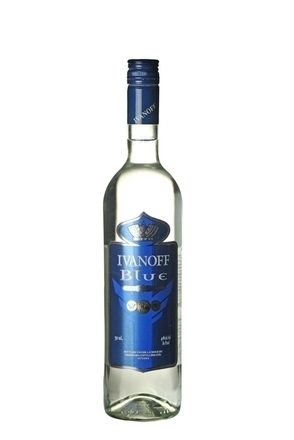 The Diamond Distillery has the capacity to produce in excess of 26 million litres of pure alcohol annually, and is one of the largest suppliers of bulk rums and alcohols from the Caribbean to brand owners in Europe and North America. All El Dorado rums are made using molasses produced by the local sugar factory from 100% Demerara sugar. This contributes a fruity, rich sweetness to the rums. Diamond holds sufficient molasses to allow it to continue fermenting even when the sugar plantation is closed for maintenance. Demerara Distillers use their own strain of cultured yeast, which is grown and stored on site, in a three-stage propagation, moving the yeast to successively larger tanks with more molasses. The idea behind this is to maintain a high concentration of yeast cells but at the same time acclimatise the yeast to the molasses rich environment. There are thirteen fermenters, each holding 22,000 gallons. Eight of these are closed while the remaining five have been left uncovered due to the intention to expand their capacity in the near future. Carbon dioxide is recovered from the closed fermenters for use in the adjacent Demerara Distillers soft drinks plant, where brands such as Pepsi Cola are produced for the local market. Fermentation lasts between 24-26 hours at a temperature of 28-32°C yielding a wash at 6.5-7% abv. This is then moved to the tanks ready for distillation. 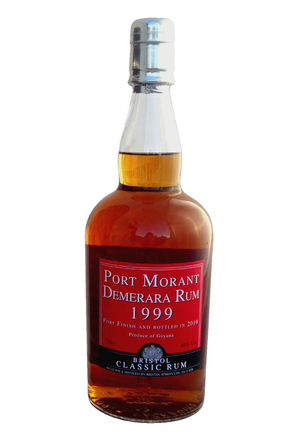 Demerara Distillers boast nine different stills, acquired as Guyana’s other distilleries closed. These all give different characteristics allowing all types of rum - heavy pot stilled to very light rum to be produced. These stills include: three English two-column Coffey stills and two French Savalle four-column stills, but the Diamond Distillery is best known for its three wooden stills: a Port Mourant double wooden pot still, a Versailles single wooden pot still and an Enmore wooden Coffey still. These are the last operating wooden stills in the world but they are far from museum pieces with the distillate from the double wooden pot particularly in demand, though all run almost daily. The Port Mourant, a wooden double pot still, came from a distillery established in 1732. The copper swan-neck of the first of the two pots runs straight into the second, then into a retort and a condenser before finally passing into the product tank. This configuration causes tremendous reflux, producing a very heavy bodied, oily distillate as the congener levels are practically doubled. The first wooden pot in this set up has a capacity of 3,000 gallons and the second 2,000 gallons, giving this double still a total capacity of 5,000 gallons. The wood adds considerable character and the double pot arrangement gives the spirit a deep flavour and rich texture. Rum from this still is used in the El Dorado 8, 12, 15 and 25 year old expressions. 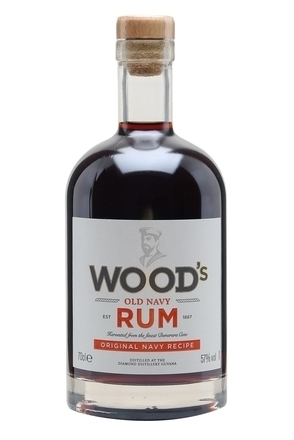 This double wooden pot still was traditionally the major contributor (some say 85%) of rum used in the British Navy blend and its output continues to be used in Pusser’s and other ‘Navy’ style rums to this day. In contrast, the Versailles, a single wooden pot still, only has a capacity of 2,000 gallons. This flows into a retort and then a rectifier before the condenser and produces a lighter, more elegant, although still a powerful medium-bodied distillate with smoky, spicy and floral notes. This still came from the Versailles distillery, which originally lay on the west bank of the Demerara and is at least 150 years old, but could be considerably older. 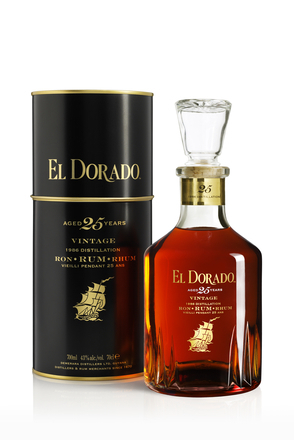 It is only used for El Dorado’s 15 and 21 year old rums. Both wooden stills have copper swan-necks and are heated by Sparjers in the base of the stills. These are fed by steam pipes that fall from the top of the still to bubble up from holes in two tubes (Sparjers) that sit in a cross shape at the bottom of the still. The Enmore (EHP) two-column wooden still is the world’s only surviving wooden column still and also the oldest operating Coffey still. It was built in 1880 using plans originally published by Coffey & Co. and is the exact same design as the first Coffey still. It is a Heath Robinson looking affair with bolted steel threaded struts running vertically and horizontally that literally clamp the columns together. The boiling (analyser) column has 25 copper plates inside, while the rectifying column contains 32 copper plates. Spirit from this still is used in El Dorado 5, 8, 12, 15, 21 and 25 year old rums. All of Diamond’s wooden pot stills are made from a native Guyanese hardwood called ‘Greenheart’ which is also used in the construction of wooden jetties due to its ability to stand being continually wet. These stills have straight sides constructed from wooden staves held together with steel bands with a wooden top and bottom – a structure not dissimilar to that of a giant straight-sided barrel. Copper and iron fittings, including the swan-neck, are bolted in place through plates which sandwich the wooden top to form a pressure tight seal. Cold water continually runs onto the tops of the stills where it forms a boiling pool, allowed to trickle over and run down the sides to help prevent the wood drying out with the heat and its joints opening up and causing leaks. Even so, the joints need to be regularly corked with cotton cord in a similar manner to clinking wooden ships. Despite this, steam can been seen escaping from the odd joint as the stills run. Incredibly, the single wooden pot still was reconstructed with new wood in 2006, so even in this high-tech age it is possible to build a wooden pot still. However, before you reach for your Black & Decker, it is not just the Greenheart wood that adds complexity and richness to the spirit, but also the residue of previous distillations left ingrained in the wood. Given that Diamond maintains and has even rebuilt one of the world’s last wooden stills, it is perhaps not a surprise to learn it also operates its own cooperage, rebuilding casks shipped as staves and maintaining old casks enabling them to be refilled. Casks previously used to age American whiskey are used and over 40,000 of them lie ageing in warehouses with tropical temperatures of 30-34°C driving a rapid oxidation process - said to create more delicate aromas while the spirit mellows. Demerara Distillers reduce distillates to an ageing strength of 70% abv before going into cask. 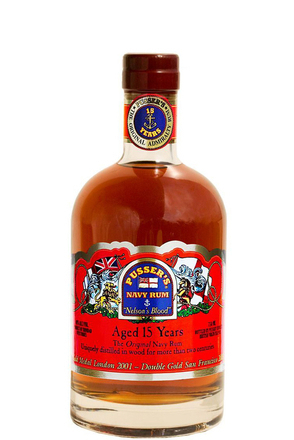 After the desired ageing period, the rums are blended by master blenders and allowed to marry until the aroma and taste are perfect. The rum is then hydrated to bottling strength and bottled.